Can you tell how much I love Halloween! Check these out in my etsy shop! So cool~already purchased the "Haunted Mansion" and I'm lovin' it! Melanie...will you be making more haunted mansion signs? Tried to comment last nite, but puter kept freezing! Good to see you again yesterday at BF!! Finished Rhonda's crown yesterday! Whew! Rush job! I didn't realize you lived close by. I'm in the Historical district in Snoho..I get appx 600 trick or treaters! Always have an "Open House" on Halloween. It's a fun nite! Just had to say, i love your blog. But I'm a little prejudice because my daughter's name is Savannah also. Such a great name. Keep up the great blog. I just started mine. Would love for you to follow on it. I'm getting so excited for Halloween to roll around too..I put out my fall dec. then add Halloween to it, then remove that and add Thanksgiving to the fall. I love fall, as it ushers in all the holidays! 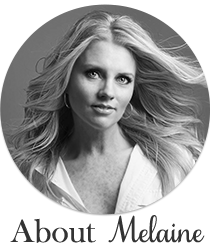 Hi Melanie, you inspired me with your kitchen.. so i gave you credit on my blog today. Thanks for sharing with all of us.. Congrats on the fun Miley concert!! Precious moments with your daughter!